Is Khloe willing to forgive and forget? 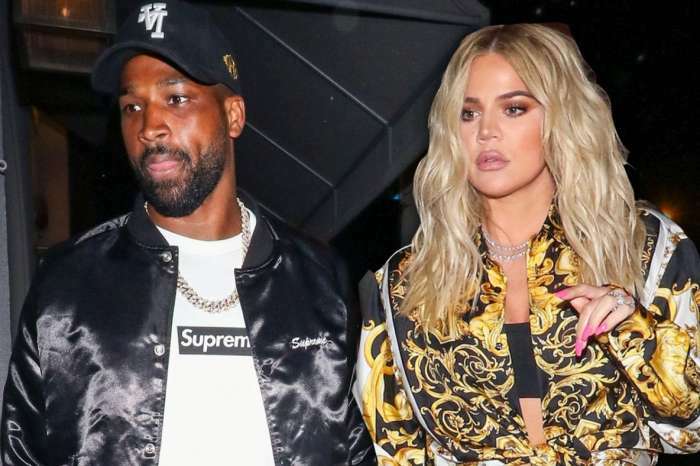 After the massive scandal with her baby daddy, Tristan Thompson reportedly cheating on her, fans are wondering if they still have a future together or not. We hear that things are not looking too good for the basketball player. Apparently, she is not against her man going to strip clubs but kissing other women is too much for her. Although it is safe to say things are not the greatest for Tristan, he also had it coming. Khloe even moved to Ohio to be closer to her baby daddy who she really thought was the one, but he disappointed and hurt her beyond words. After the cheating scandal exploded, we learned that the KUWK star’s assistant was already working on moving all of her stuff back to California. The Kardashian is reportedly planning on going back there to live with her momager Kris Jenner, and she’s obviously taking the baby girl with her which is the worst case scenario for Tristan. It seems like the man is terrified of losing them but what’s done is done. Do you think Khloe will change her mind and give Tristan another chance? Khloe has nothing to be embarrass about they tried to destroy her life and hurt her thoes women’s need to be ashame of themselves they are the ones need too be ashame they all knew Khloe was pregnant and in love with Tristan they wanted all this to come out and hurt Khloe Tristan being drunk was caught off guard they were doing good until Khloe couldn’t be with him anymore she was ready to have their beautiful baby and they begin too start going after Tristan that’s right Khloe they threw themselves at Tristan and waited until you got down on your back before they start throwing they tail at Tristan Khloe you won!!!! They sitting back waiting too see what you are going to say and do love your man Khloe and baby be happy lady you won!!! !